It seems like everyone is talking about the flu…be it swine or the regular run-of-the-mill variety. I’d rather avoid getting either of them. So it’s time to boost our immune systems and do all those things that Gram and Mom said to do – get plenty of sleep, gargle with salt water, clear your sinuses and…yes, eat an apple a day to keep those doctors away. I know of a great place where you can get enough apples to carry you through the entire winter. 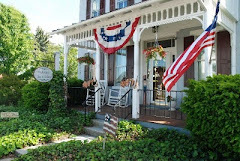 Not far from The Artist's Inn, along Route 340 near Bird-in-Hand, sits the quaint store of Kaufman’s. 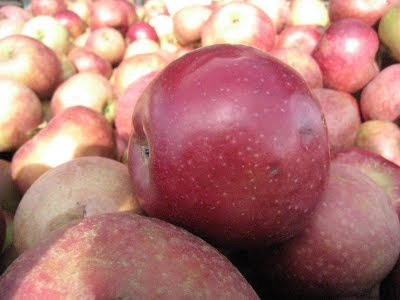 The Kaufman family (now in its 5th generation) has been in the business since 1915, and they harvest apples—by the ton. Here are some of the huge bins piled up in the back of the store. 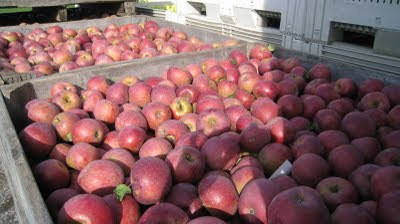 They currently carry Braeburn, Cameo, Cortland, Crispin, Empire, Fuji, Gala, Golden Delicious, Granny Smith, Idared, Jonagold, Jonathan, McIntosh, Red Delicious, Rome, and Stayman apples. Sound like enough? 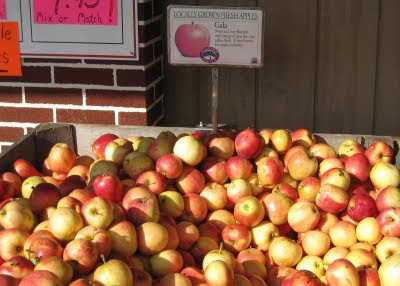 They also make cider – 102,000 gallons this year. 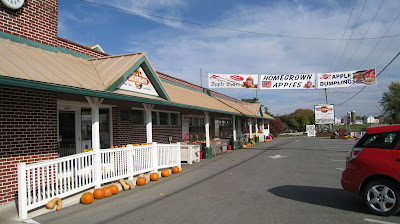 A visit to their store is a must on your next trip to Lancaster County. But don’t wait long….winter is coming! 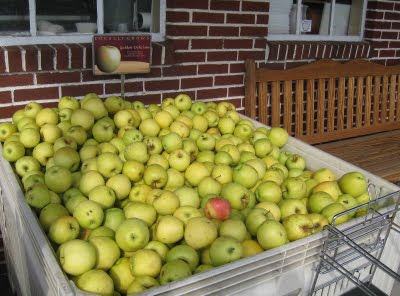 You’ll find the pretty apples inside, the outside bargain bins are shown here and are still great for baking pies and cakes, and making applesauce. Kaufman’s is closed on Sundays, but has a website, online store, and a blog. Here’s an easy recipe I tried recently, courtesy of Whole Living. It goes well with baked pork chops (and I only changed the recipe a little). Melt butter in a 9 x 13 glass baking dish, arrange squash in overlapping layers; season with salt and pepper. Spread leeks evenly over the. Squash. Arrange apples in an overlapping layer over the leeks. Cover tightly with aluminum foil. Bake 1 hour. Uncover and sprinkle cheese over the top. Raise the oven temperature to 450 degrees and bake 10 minutes, or until the cheese has melted and is golden brown. The tip of a paring knife should easily pierce the gratin. Let cool 10 minutes before serving. Garnish with sage leaves. Enjoy!